The avalanche of network-connected devices coming online over the next several years will have a significant impact on the way businesses access, measure, process, and control information on their network. In fact, Gartner forecasts that worldwide the number of connected ‘things’ will reach 20.4 billion by 2020. (Source: Gartner). The Internet of Things (IoT) revolution is being adopted across a variety of industries from retail and manufacturing to healthcare and government for its ability to open up new business opportunities, reduce costs and streamline operations. However, this IoT goldrush also presents several unique challenges for enterprises and the MSPs and partners that support them. 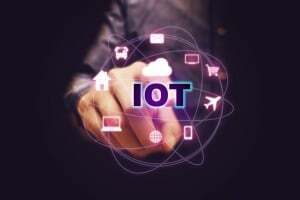 On top of fragmented standards around IoT and challenges related to security and connectivity of endpoint devices, another hurdle to IoT is establishing network connectivity that is robust, reliable and cost-effective. Depending on the IoT application, enterprises may have requirements for simple IoT devices, such as remote sensors at a plant or for digital signage, for example. Or another IoT application may require a higher demand for reliability, such as for public safety, health care or transportation. If your organization is looking to help customers with IoT deployments, consider IoT-native routers that offer multiple 4G LTE modem options and cloud management features. Broad Sky Networks delivers the ultimate wireless solution to support IoT deployments. A wireless WAN powered by 4G LTE connectivity can enable customers to rapidly achieve the business value IoT, regardless of their requirements or IoT application. Depending on their needs, customers can select right modem for their specific application requirements, such as throughput, coverage, and cost. While there are virtually millions of unique applications for IoT network-connect devices, let’s take a look three of the primary uses cases for wireless in IoT deployments. And, we’ll dive into how you can help your customers set up a successful IoT implementation. Kiosks and ATMs- Enterprises that manage ATMs, kiosks or digital signage have long relied on legacy data and network connectivity solutions like those from JBM Electronics or Sixnet. Today customers are looking to upgrade these services and to leverage more reliable 4G connections for higher availability and simplified management. Broad Sky Networks offers secure WiFi connectivity for ATM and kiosk IoT deployments along with cellular backup options that provide redundancy and greater confidence that the endpoints will be up and running as expected. Transportation networks- Whether it’s a fleet of emergency vehicles, a metro bus line, or a repair or service vehicle, IoT applications in the transportation arena will continue to expand exponentially. In-vehicle networks power GPS vehicle tracking, real-time monitoring of CCTV systems, onboard passenger WiFi, mobile payment processing and much more. Supported reliable 4G LTE wireless connectivity, customers looking for enterprise-grade network connectivity will be ‘wowed’ by the reliability, speed, and cost-effective options available from you and Broad Sky Networks. Remote sensors and machinery controls- Monitoring and control solutions today are used for a variety of applications ranging from industrial, commercial, or infrastructure-based. These might include sensors that continuously collect information about machinery or processes used for anything from wastewater management, agricultural processing or manufacturing. Supervisory Control and Data Acquisition (SCADA) control systems are another set of IoT applications that require secure and highly available networks. Remote management and simplified maintenance of endpoint devices and the networks that connect them are also top priorities for decision makers in this space. Unfailing wireless broadband connections are a foundational component to making these sensors and control systems work in these environments. Broad Sky Networks offers innovative wireless solutions that can make your customers IoT deployments work in any of these applications. Talk to us about how our wireless connectivity options can bring more flexibility, security, and reliability to any machine-to-machine deployment. If you’d like to learn how we can help you and your customers succeed in their IoT rollout, email us or give us a call anytime at (877) 291-9575.